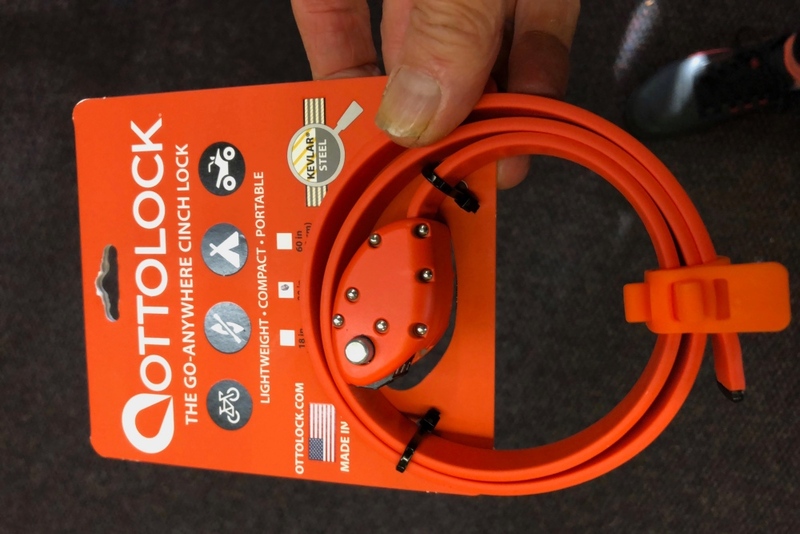 When it comes to the best bike locks you’ll need to weigh convenience, security, and weight when making a purchasing decision. In searching for the best bike locks for mountain bikers, the question to ask yourself isn’t which lock to buy. It is what you want to accomplish with whatever lock you buy. 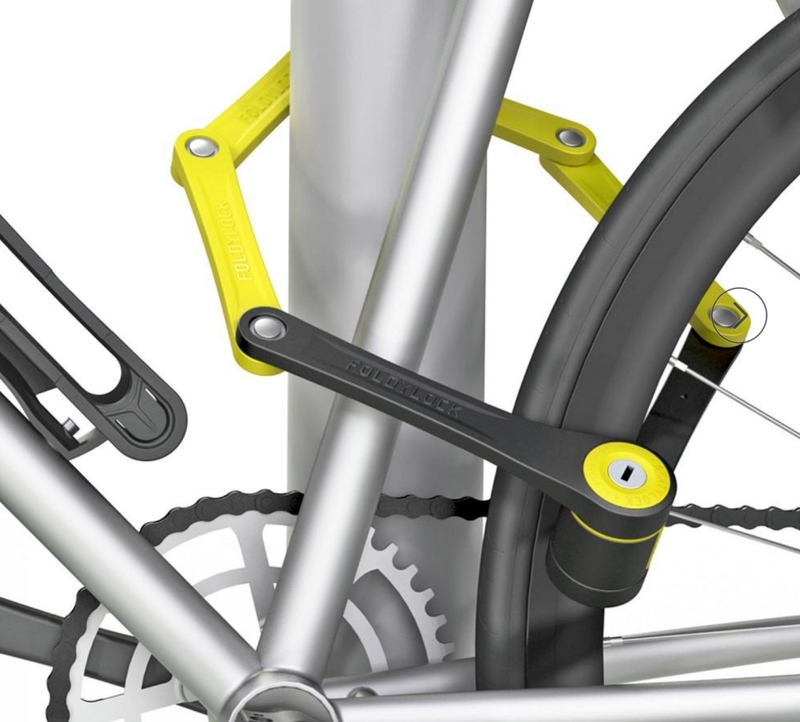 The best bike locks come in myriad sizes, shapes, and configurations. Generally, the heavier and more unwieldy a lock is, the more security it provides. But none deliver absolute failsafe protection. That just doesn’t exist. 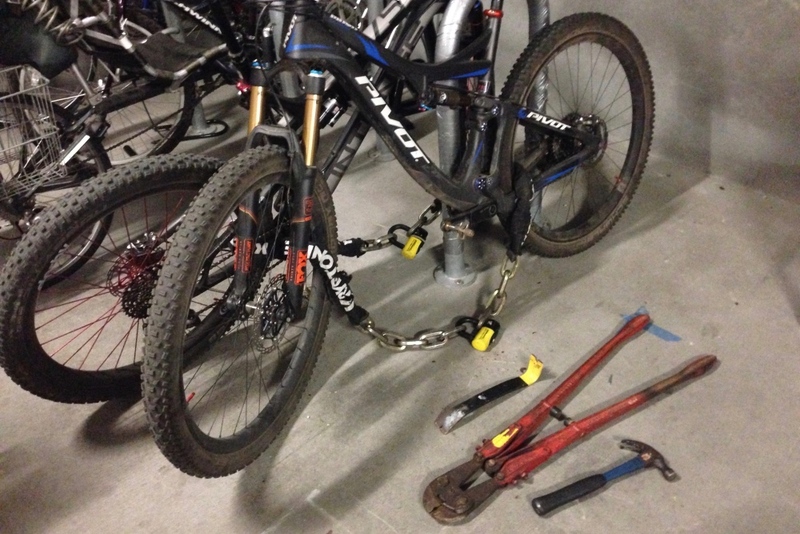 Santa Cruz’s pro thieves gave up when the New York Faghettaboudit broke their bolt cutters. 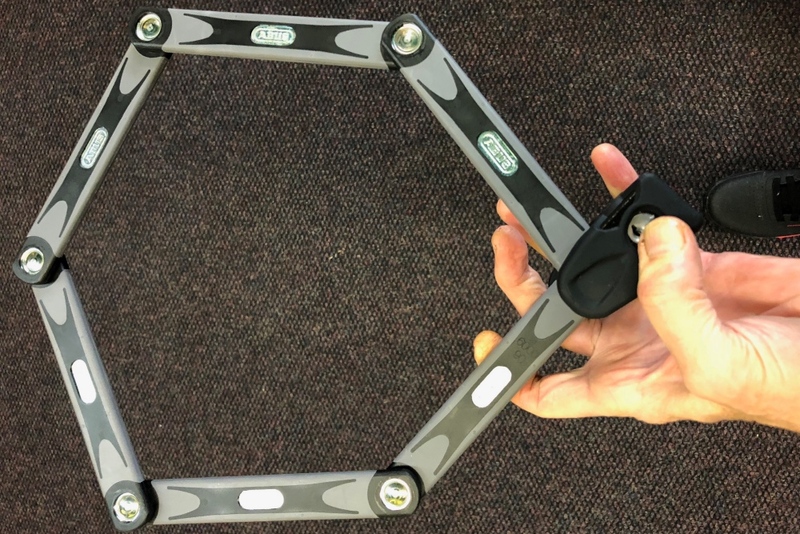 So the mathematician in you has to come up with a kind of mental risk-analysis formula as you peruse the best bike locks. That will go something like: convenience divided by bulk equals level of security. 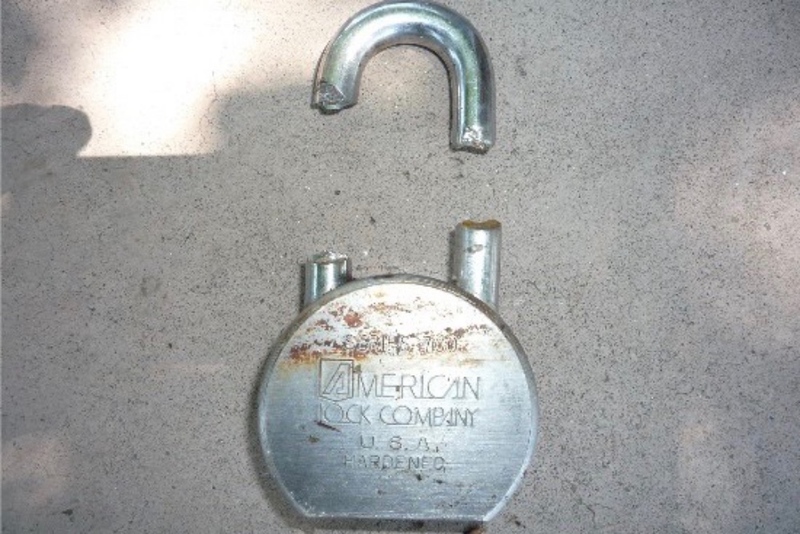 Palo Alto thieves had no trouble cutting this lock. 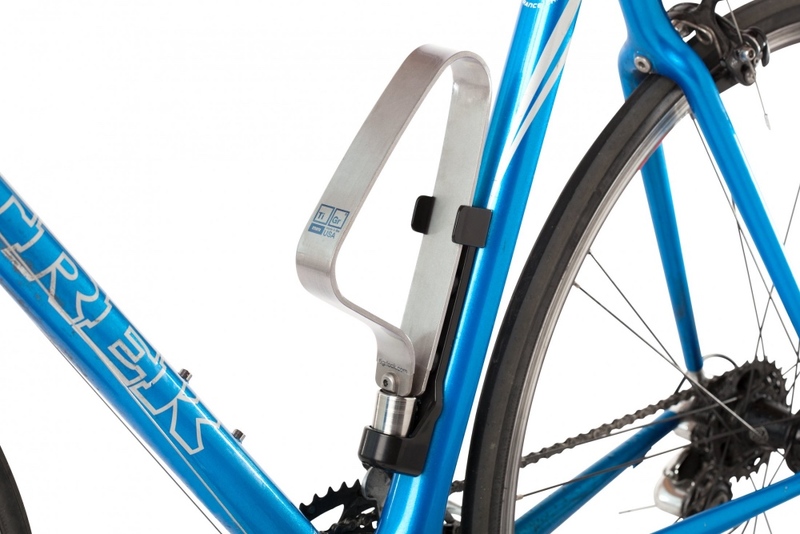 Do you plan to lock your bike just temporarily while you run into the mini-mart? Or are you leaving it for an hour or two, all day, or even overnight? Will your bike be in a high-traffic area with lots of passersby? Or will it be isolated in a garage or alley? And how portable does the lock need to be? Do you need it to be light and stowable? Or are you okay with a big bulky chain? Unfolded and folded, the Abus Bordo Lite 6055 (above and below) is a handy lock. Answers to these questions has led some lock makers to assign varying security levels to their products, ranging from medium to high. (They avoid phrases such as low security.) Of course these ratings are entirely subjective. If you want more info, check this list compiled by Sold Secure, an independent, non-profit UK-based outfit that tests and certifies locks, then assign gold, silver, and bronze ratings. Sold Secure’s ratings come with a distinctive orange and blue logo that usually appears on a product’s packaging label. For short-term use, the Ottolock Cinch Lock’s low weight and small size can’t be beat. Other things to look for when shopping the best bike locks are warranty, type of key (and how many), and protective coating to avoid marring your bike’s finish. Anti-pick designs are a plus for key-entry locks. At least this guy had a sense of humor about it. Just remember that no bike lock is foolproof. 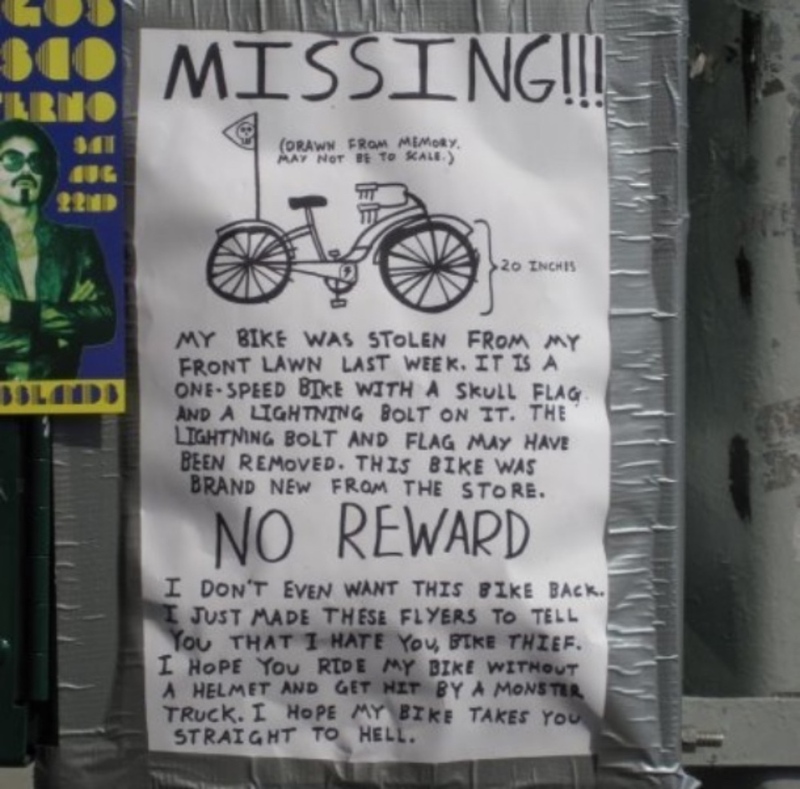 The idea is to make it as bothersome as possible to steal your bike. Like having a barky dog in your house, the goal is to encourage a potential thief to move on to easier pickings. With that in mind, here in alphabetical order are Mtbr’s picks for the best bike locks for mountain bikers. If space and portability are a prime consideration, the German-made Abus Bordo Lite 6055 folding lock checks all the right boxes. It stows as a 1-pound rectangular kit that’s smaller than a water bottle, and then unfolds into a roomy polygon capable of securing your bike in a variety of configurations. And while its riveted pivots are susceptible to thief tools, it’s still solid short-term, frequent lock/unlock lock option. The Blackburn name backs up this lock as its toughest, offering a $4000 theft replacement guarantee and maximum security rating. The shackle’s hexagonal shape doubles cutting time, claims Blackburn. And its lock prevents bump keys and picks. The Blackburn website lists it as out of stock, but check Amazon or other outlets and you should be able to find one. 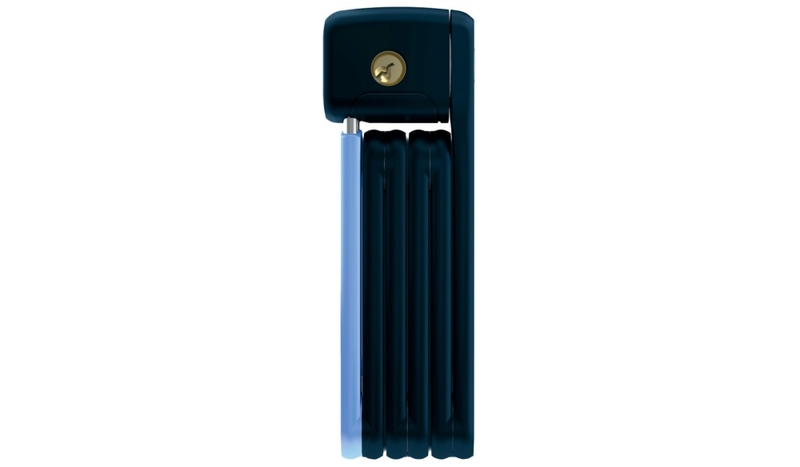 Exceptionally light at 2.2 pounds, the Foldylock has a silver Sold Secure rating, comes in a wide assortment of colors, and utilizes rivets that are designed to withstand drilling. It also checks the boxes for ruggedness, frame protection, portability, and ease of use. This is a prime example of where a medium security rating may be well worth the tradeoff for convenience. 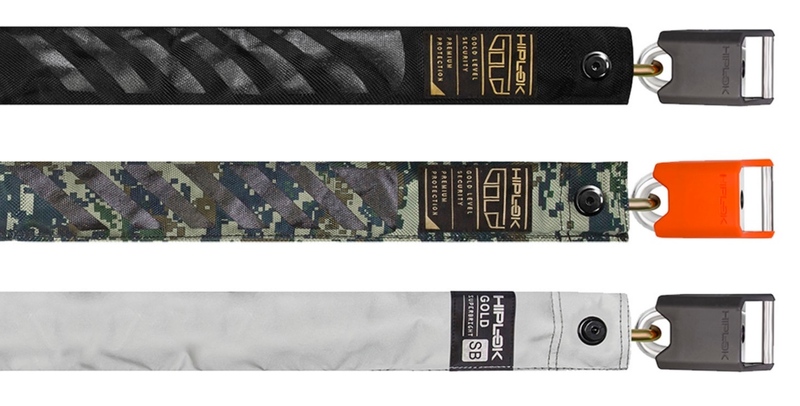 The primary pitch with Hiplok is wearability. You wrap the lock around your waist, cinch it with a Velcro strap, and you’re quickly back on your bike and rolling. Same goes for locking up your bike — just unstrap and lock. No rummaging around your backpack, and no filling up otherwise useful storage space with a bulky lock. Hiplok makes several models, including the Gold, which is Sold Secure certified. 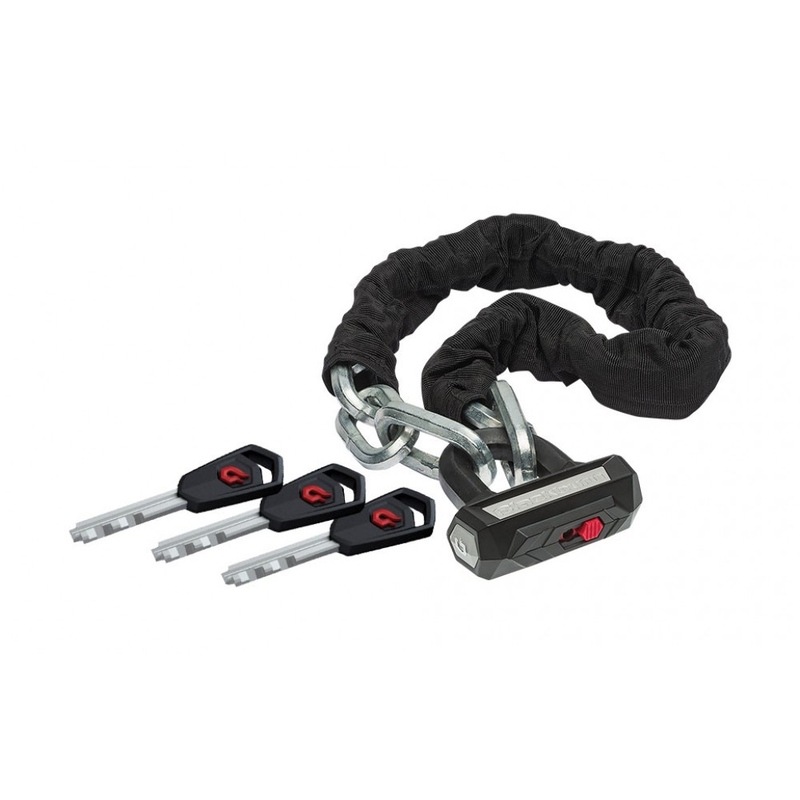 Indeed, this is a maximum security option, with a 10mm chain and 12mm shackle. This of course increases the weight, so you’ll need to weigh the importance of security versus convenience. The chain is sleeved but not cushioned, and eventually it rests on your upper hip bones when those 5-plus pounds can start to chafe. If that’s too much to carry around, Hiplok offers lighter models. Heavy, unwieldy, and expensive, the New York Fahgettaboudit is nonetheless the best bike protection available. To defeat it, sparks must fly. I personally only use it in high-risk situations, say leaving bikes on my hitch rack overnight when I actually lock two chains together and then thread the whole thing through the rack and both frames and wheels. 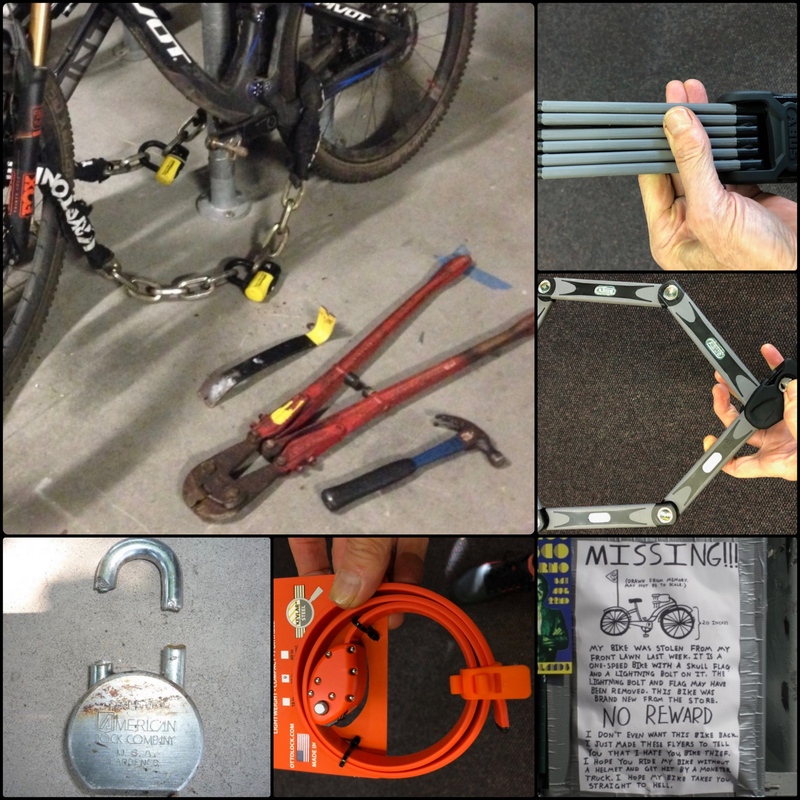 The entire setup weighs 26 pounds and is an enormous hassle, but in the bike thief haven of Santa Cruz, California, I once had some thieves actually abandon their tools after bending bolt cutter blades on the Fahgettaboudit padlock. 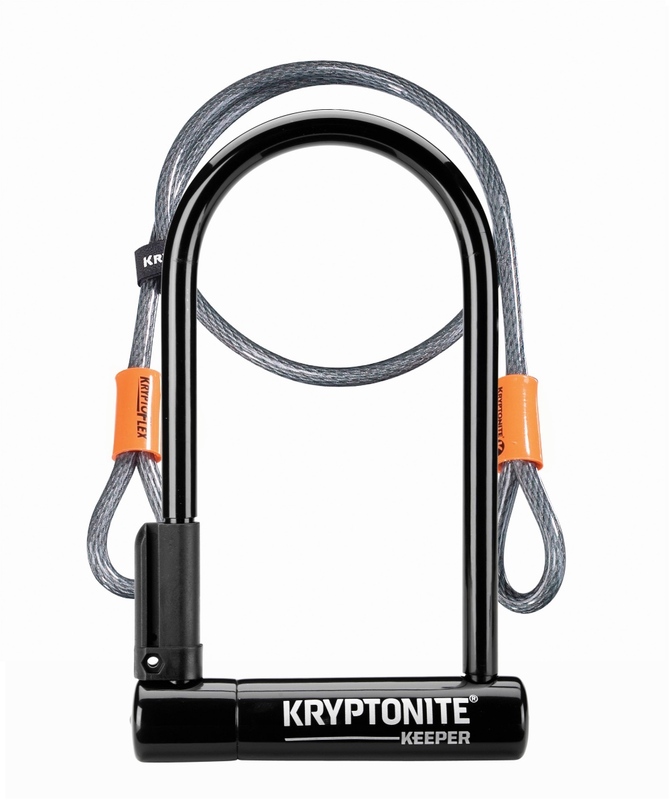 Gone are the days when Kryptonite U-locks could be defeated with a simple Bic pen (see the Coen brothers film, “Burn After Reading”). Now Kryptonite is the Campbell’s soup of locks — you can find just about any type and style available under its brand. 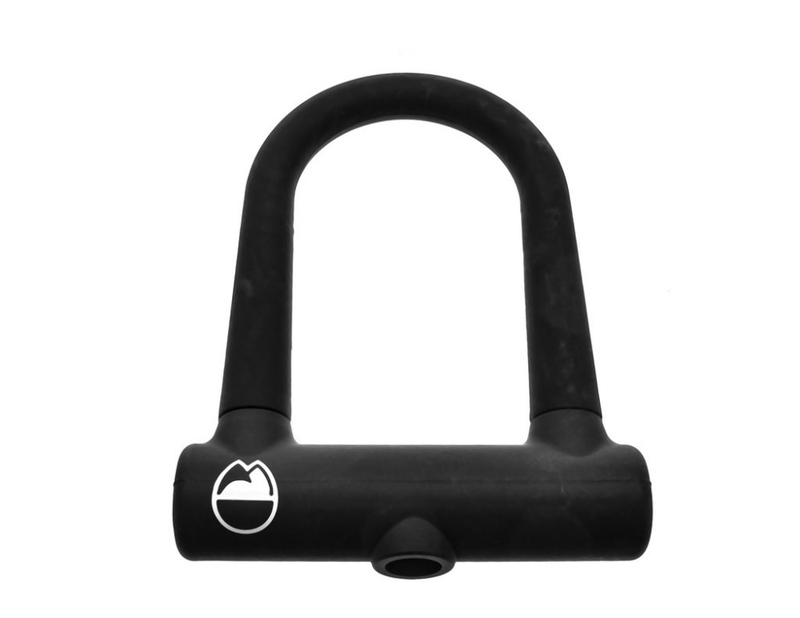 But the U-lock that it initially helped popularize is still considered the best mountain bike lock configuration for all-around security and convenience. Affordability and convenience are this Master Lock’s calling cards. The cable forms into a nicely stowable coil and the integrated combination lock is easy to set and unlock. It’s also plenty long at 6 feet, and its 5/16-inch width is secure enough for most short-term situations. I’ve used a variation on the Master Lock Model 8114D for more than a decade without losing a single bike. You can set your own combination. Just remember to write it down somewhere just in case you don’t use it for a while and forget the sequence. Ideal for minimalists, the Ottolock Cinch Lock looks like a burly watchband, but its 3-inch-diameter coil stretches out to a max of 5 feet. Total weight is less than half a pound. 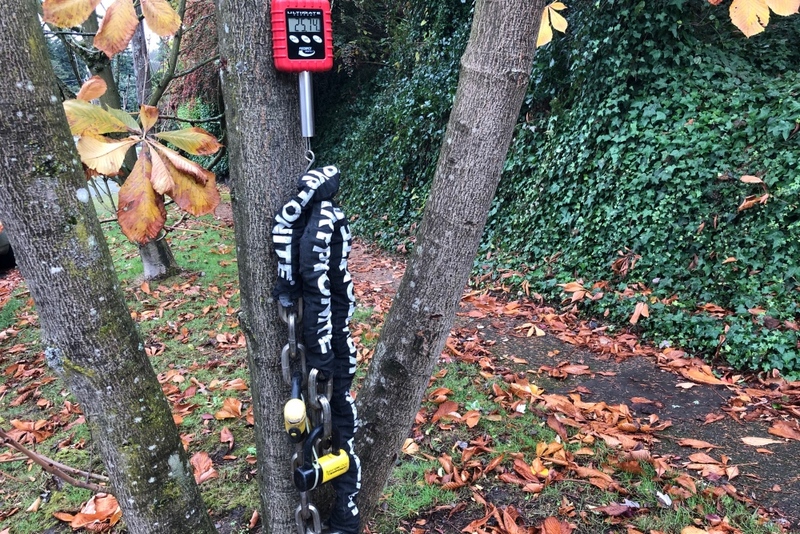 The 18mm (two-thirds inch) wide band is reinforced with multiple layers of steel and Kevlar, making it bolt cutter-resistant yet stronger than cable, claims Ottolock, which provides video evidence here. 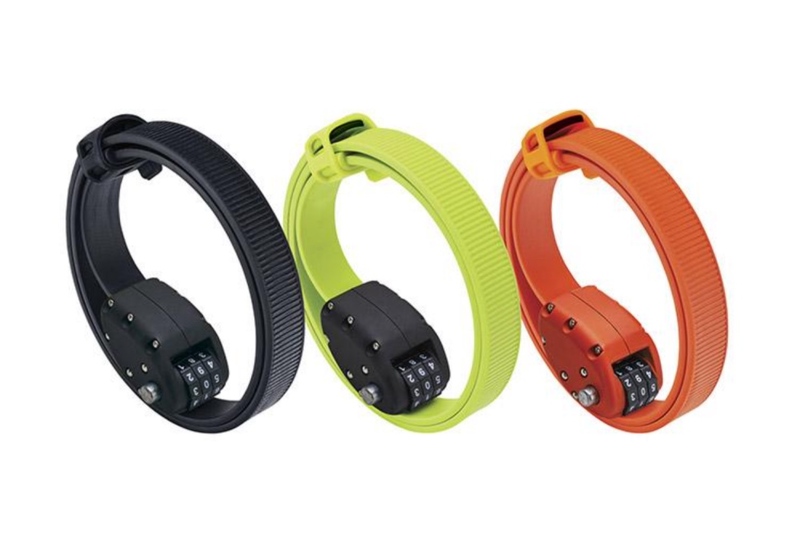 The locking mechanism is a user-set 3-number combination dial, and it comes in orange, green, camouflage, or black. Available lengths run from 18 to 60 inches, and as a side benefit it can be used to secure lots of other possessions. Think of the Ottolock as a very burly reusable zip tie. 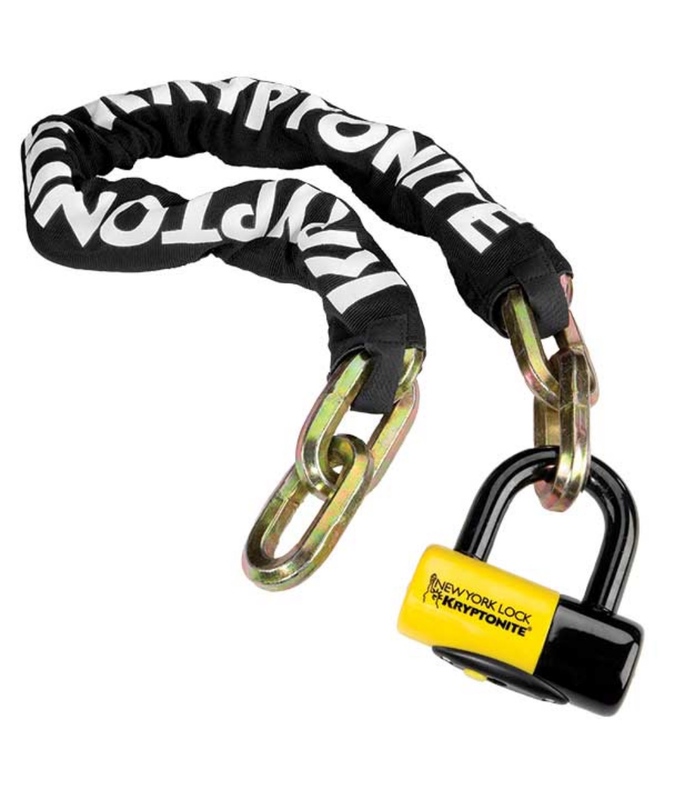 At 395 grams, the RockyMounts Carlito is billed as the lightest U-lock available. Of course that svelteness comes with a security penalty. But for low-risk applications it’s worth a look. Otherwise consider coupling it with a cable or chain to enhance the safety factor. 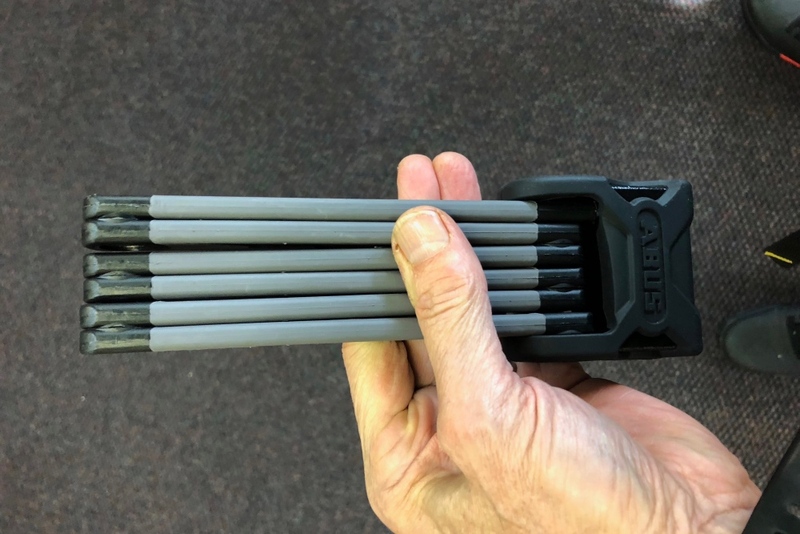 Weighing in at less than a pound, yet Herculean strong, the TiGr Mini Titanium Bike Lock is a clever solution for weight weenies. Its flexible bowed collar offers generous wraparound capacity, and its slim shape doesn’t occupy much room whether stored or mounted. Plus its PVC coating won’t mar your bike finish, and the actual lock is engaged simply by pushing it in. There’s no key required. The TiGr Mini is made in the USA and comes with two keys and a mounting clip. 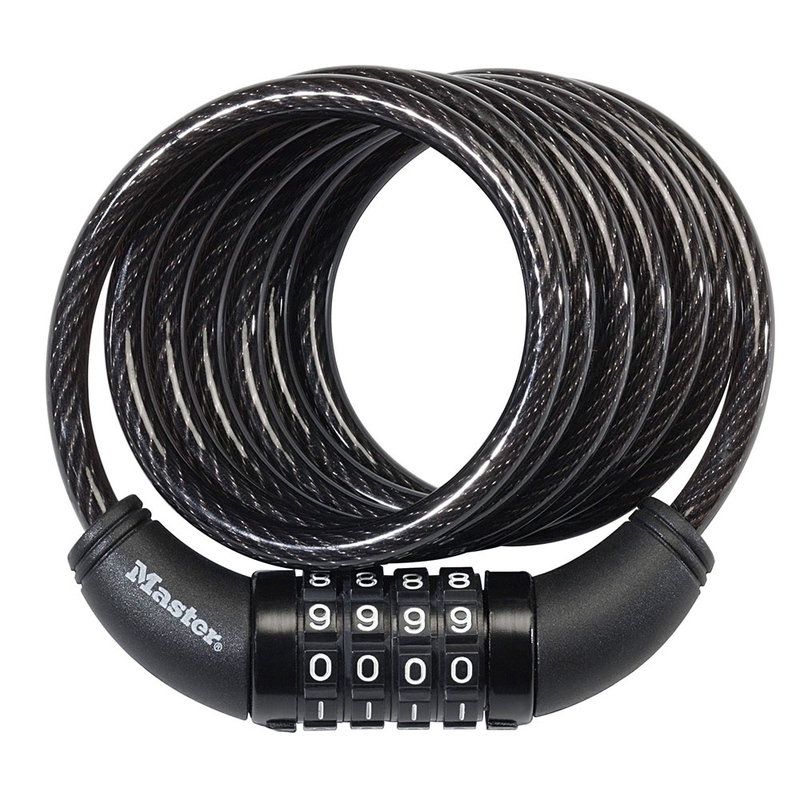 Quick comment on the Masterlock cable: it’s really only for super quick lockups. When they stole my bike it took the thief about 13sec, give or take. I saw the video.